It seems like yesterday that we visited Poland. Watching the survivors come back today for the 70th anniversary of liberation was incredible. I don’t know how they survived the horrors of losing their families and friends. Today, I posted a picture that showed some of these survivors who are pointing to themselves in a photograph of when they were liberated. When my mom and I took the 5 hr. tour, they started us out on the bus with a video. They were talking about the liberation of Auschwitz. They said that the Russians/Red Army came in to liberate them with their camera crews they expected that they would open the gates and everyone would be happy and run out the gates. What they found was completely different. No one came running, they were so emaciated that they could barely wave or stand. No epic camera moment of glory for the Russians. 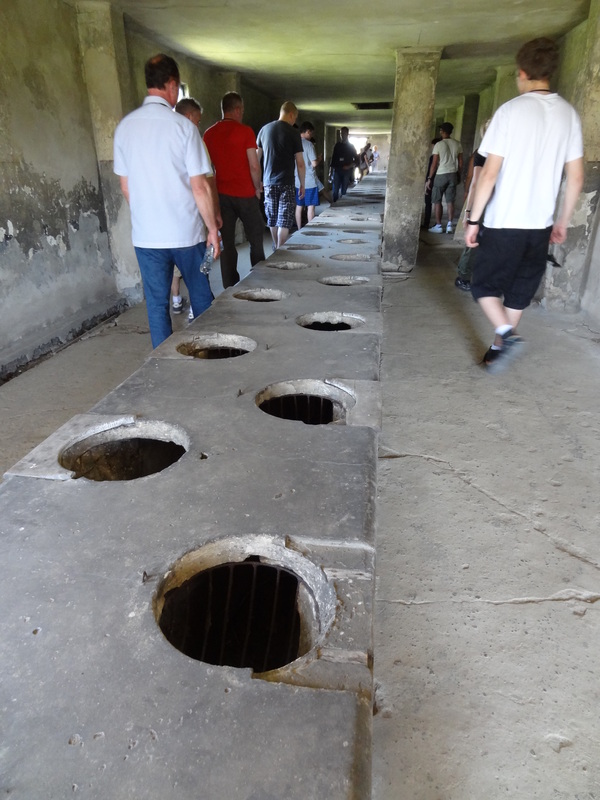 The prisoners stayed there for weeks/months because they were so fragile and near death. 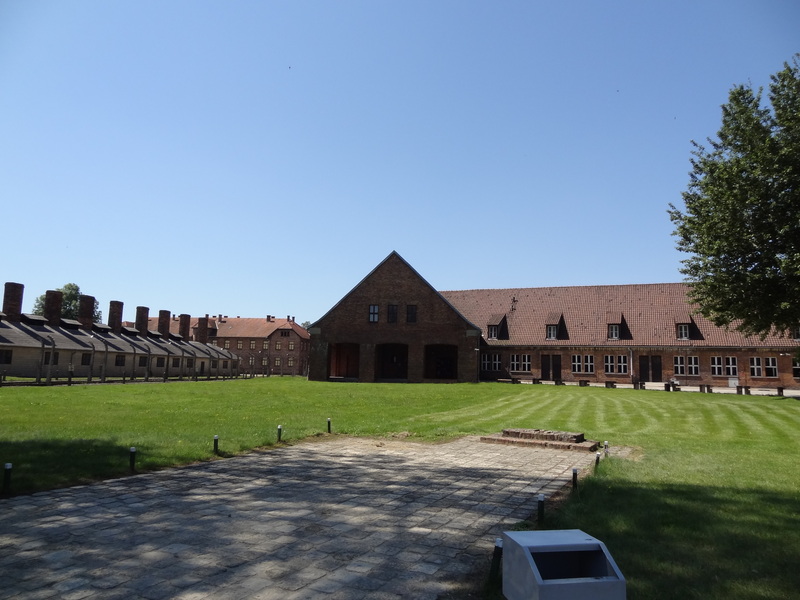 The camp became a hospital/infirmary. 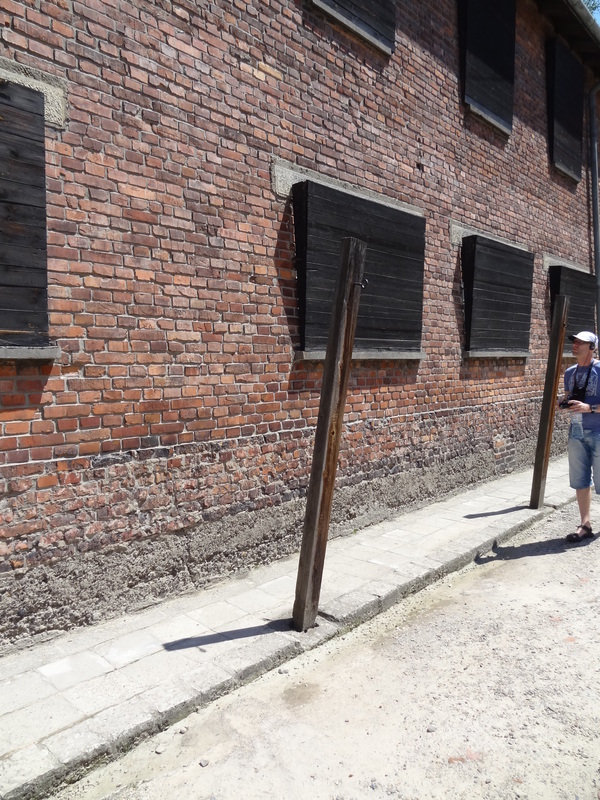 What was interesting throughout both Poland and Lithuania was that the people working in these Jewish Heritage sites were not Jews. There are so few Jews left in these countries that the jobs are filled by others. 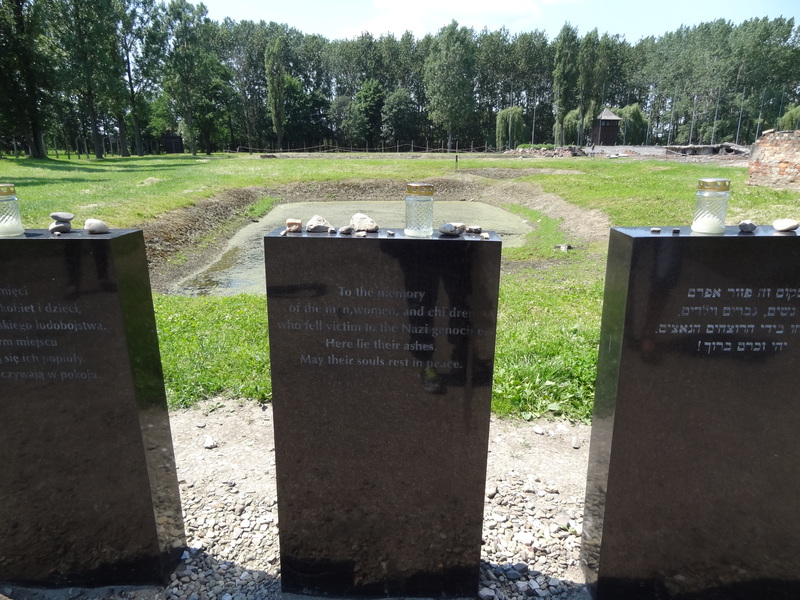 There is a picture below of where the ashes were dumped after the crematorium at Birkenau or (Auschwitz II). Our guide for the past 3 hours was soooo passionate in his presentation. He seemed to me that he was the grandson of a survivor. He spoke so authentically and with such vigor that when someone asked him why there were stones on the cemetery stones, he replied, “you know how we put flowers on our families stones at cemeteries, “the Jews” put stones on them to show that someone was there” I was in shock! HE was NOT Jewish? WOOOOAH! I was then told that most of the guides were not. Couldn’t believe it. 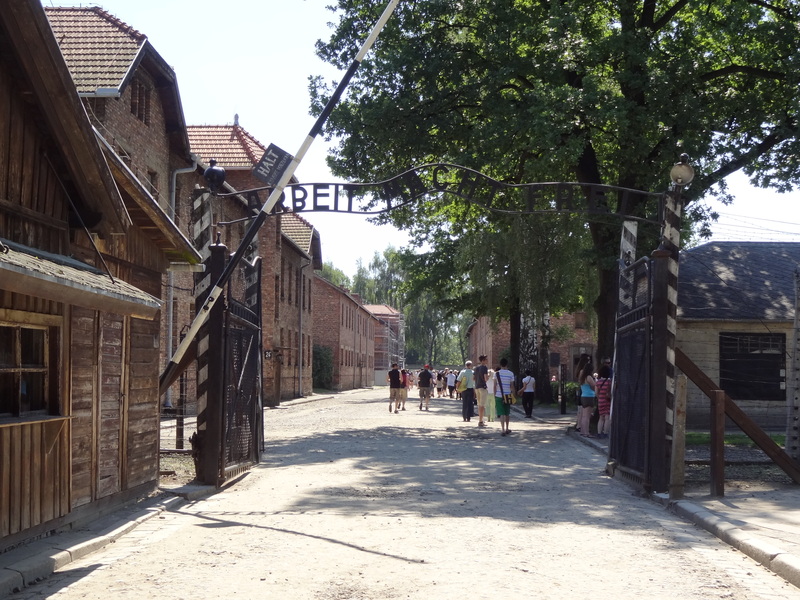 Same thing with the tour of the Jewish quarter in Krakow and the Schindler Museum. 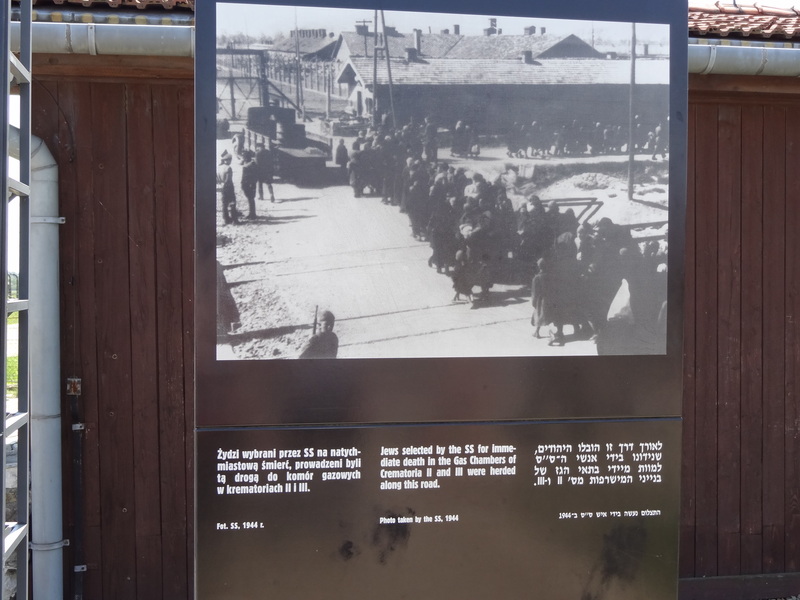 The famous “work makes you free” sign entering the camp. To the right of the gate is where the orchestra performed giving the false sense that you were entering a dignified prison. They cut the girl’s hair off when they arrived. Here are braids. 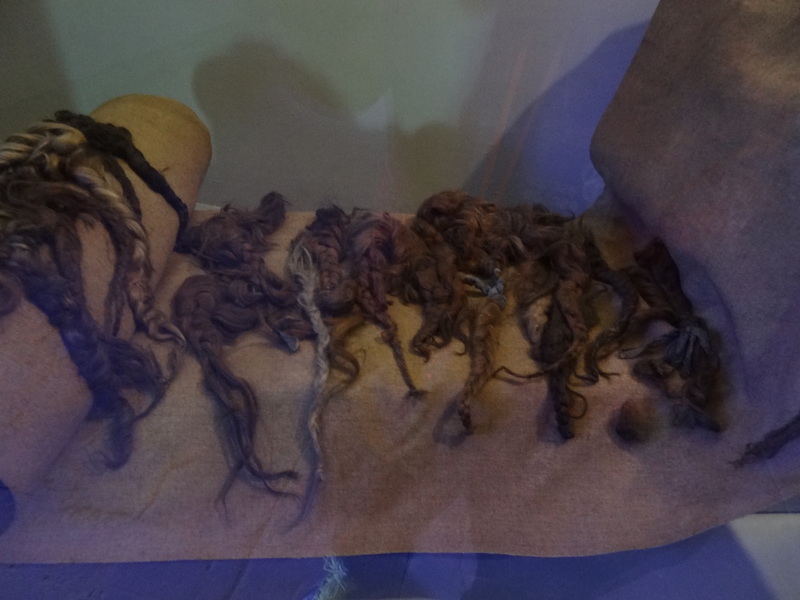 They used the hair to make felt for blankets. I am forever grossed out by felt. 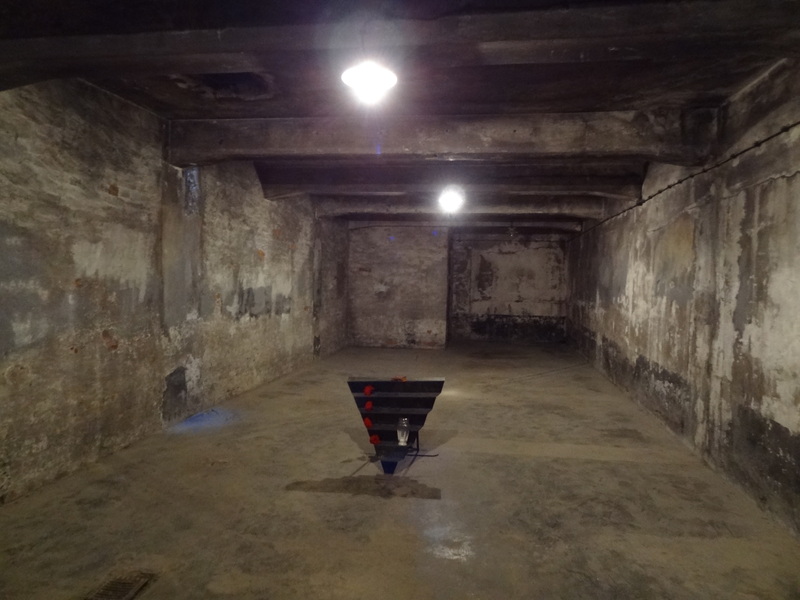 The Gas Chamber. I walked in, snapped the picture and left. The horror in this room was overwhelming. These hooks were everywhere. 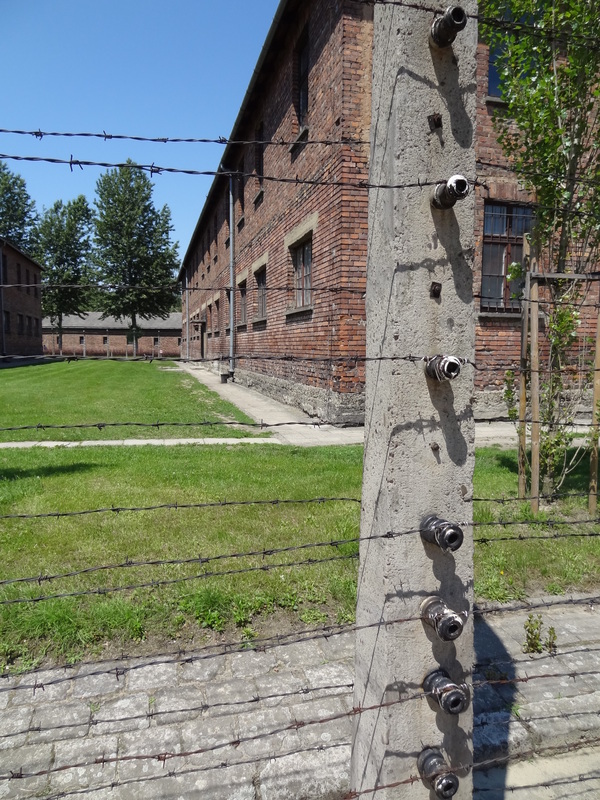 They tortured Jews by tying their hands behind their backs then hanging them from behind. Dislocating the shoulders and causing sever pain. 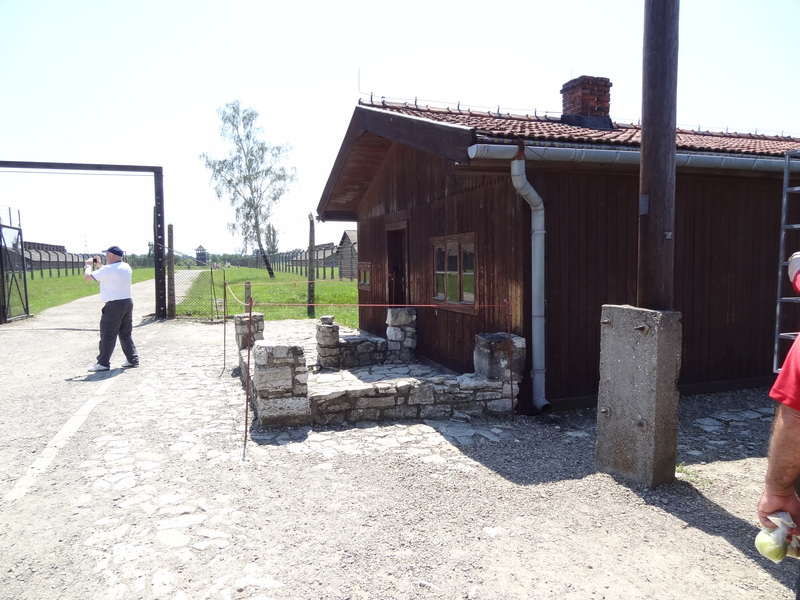 The bathrooms at Birkenau. The Jews were allowed to go 1x a day. If they were caught going outside they were shot, if they had diarrhea they were shot. 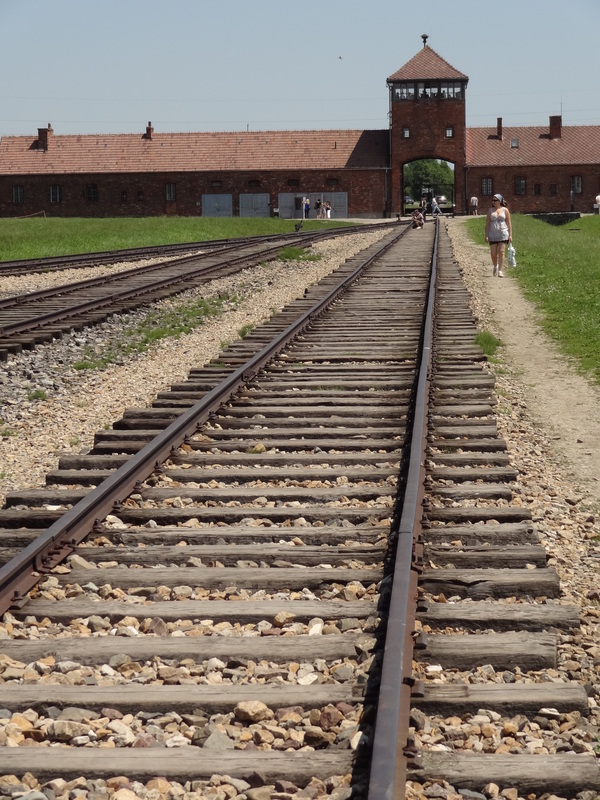 Entering Birkenau you came on a train through this opening. It was a 1 mile walk to the end at the crematorium. This is where our guide said that “the Jews” put stones on gravestones. Pivotal moment. Beyond is where the ashes were dumped. 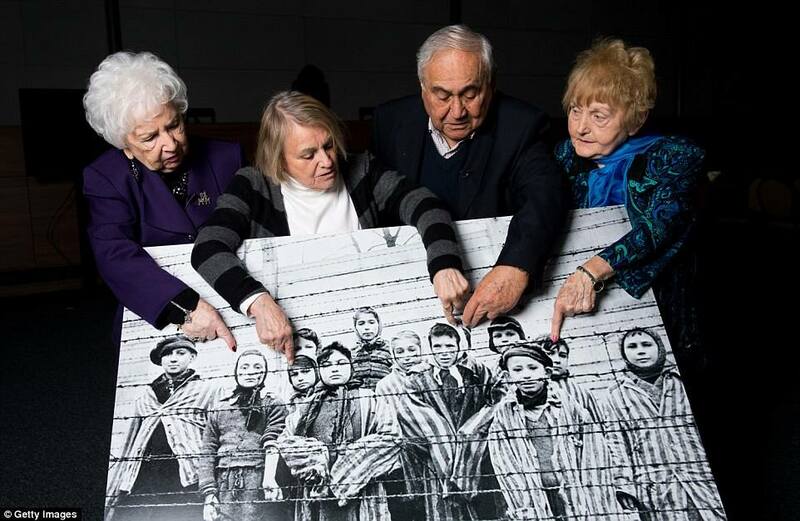 2015 survivors looking at their liberation photo.